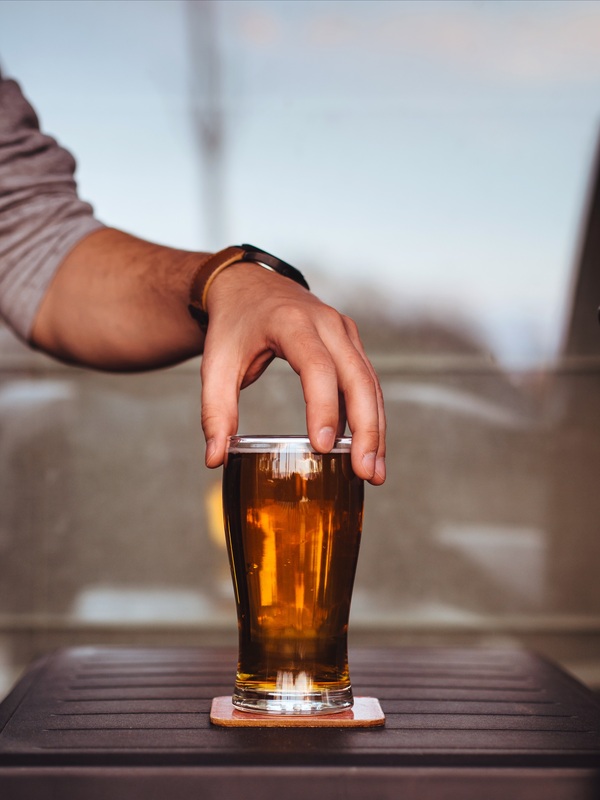 If you love craft beer, small-town living and spectacular landscapes then you have to join the Clarens Craft Beer Festival in the Free State. This small South African town is famed for its two-day annual beer festival, which happens around the last weekend of February. Besides beer, and lots of it, there are food trucks and stalls as well as live music. This year the Clarens Craft Beer Festival is taking place on 23-24 February 2018 and will host 24 South African craft breweries. It’s the only beer fest in the province, so they don’t muck about. 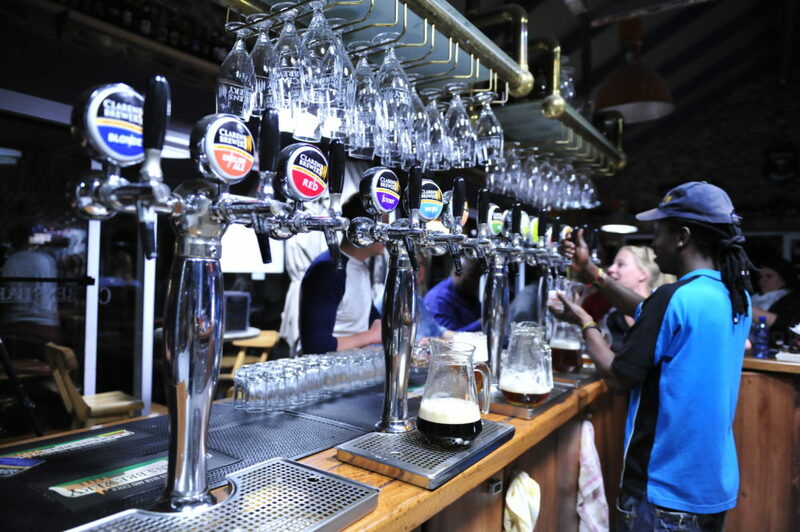 Clarens Brewery is arguably the Free State’s best known brew-pub. Owner Stephan Meyer boasts that it’s the town’s busiest time of year by far. Should you visit on any other day, the brewery serves seven beers on tap, a few seasonal brews, fruit ciders and liquers, as well as whiskey and apple brandy. Their taster panel allows you to sample the beers for free before choosing your favourite to sip beneath the shade of the chestnut trees that face the town square. And if you need to line your stomach they serve German-style pub food. 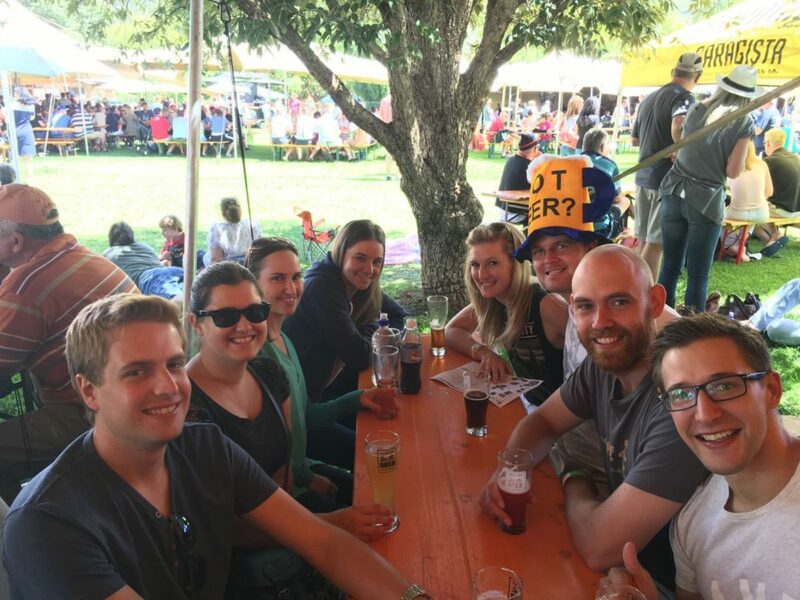 I’ve been to three (of the seven) Clarens Beer Fests (and survived), so I feel qualified to write about how you can do the same. Drinking alone is no fun. Plus it makes you seem like an alcoholic. 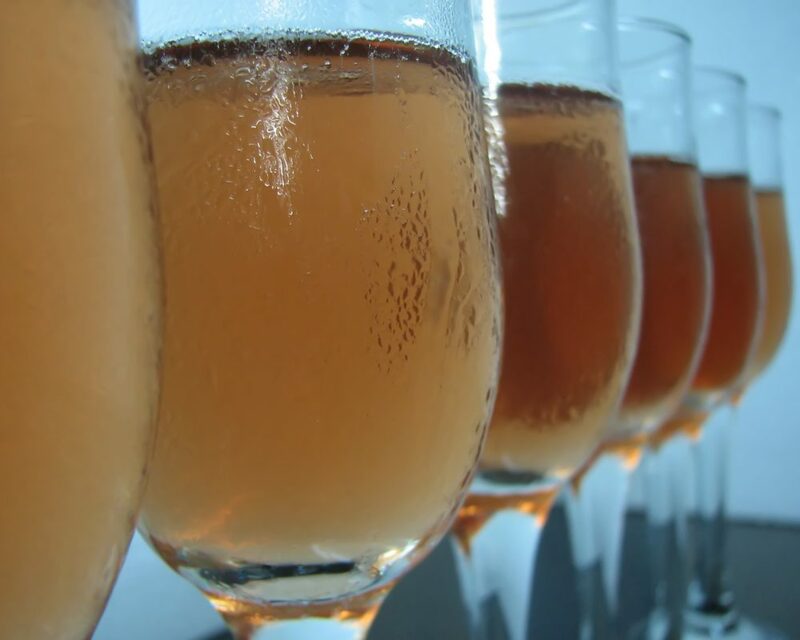 ALWAYS drink in the company of others, even if you have to introduce yourself to a group of strangers. With a bit of alcohol in the mix (and your common love of fermented hops and barley) you’ll soon be the bestest of friends. Here we are at last year’s beer fest. The beer fest is open from 12pm until 8pm on Friday and from 10am until 7pm on Saturday. Familiarise yourself with the Brew Menu (here’s the 2018 Brew Menu), so you know exactly which brews you want to try first. There’ll be no milling about for you as the amateurs head straight for the first booth in sight. Avoid the regular beers you can easily get back home and focus on those gems that have travelled for days to be there. The most popular beers finish first on the Saturday and some breweries only have limited stock, so don’t leave the best until last. Leave your credit card (and other valuables) at home. Use cash to buy as many tokens as you think you can drink your way through in two days – you can always buy more on Saturday morning. This cashless/cardless system means you won’t have to worry about losing your card and possibly running out of petrol on the way home as a result. It’s probably also a good idea to leave your phone at your accommodation, as the chances of drunk-calling your ex decrease exponentially that way. Also you don’t need photographic proof of the doff* things you did, you’ve embarrassed yourself enough as it is. 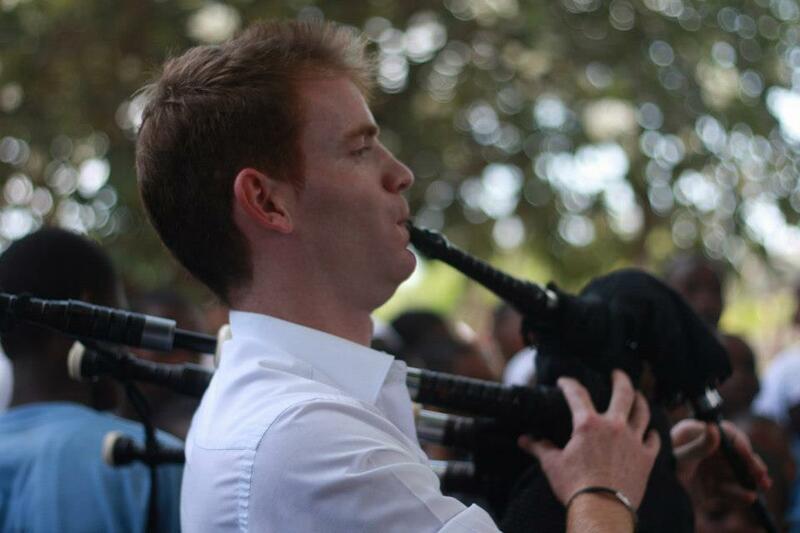 My friend, Jonathan Visser, is one of South Africa’s top bagpipers. He’s so good in fact that he even managed to sneak his bagpipes into the festival grounds. We were only slightly merry when we approached the festival organiser to ask if he could play on stage, while there was no other musical act on. We were inspired and wouldn’t take no for an answer, so he started to play on the grass to an exceptionally receptive audience. We were politely asked to stop. He only pulled them out again later that evening outside the Grouse and Claret pub. Onlookers encircled us. People started dancing and signing along. We all stood with our right fist to our chest and sang to our heart’s content as he played Nkosi Sikelel’ iAfrika. Two random guys we had never met were so inspired by his playing that they took off their caps and started collecting money. They collected enough for Jonathan to buy the 10 of us tequila shots, which brings me to my next point. With 121 craft beers from 23 local breweries there’s really no need to mix anything but beer in your belly. It’ll just make you feel kak*. There are a number of restaurants and pubs that line the town square where the festival is held, though you don’t want to leave the beer behind, so it’s best to explore the food within the white picket fence of the festival. Expect burgers, fries, pizzas, wraps, donuts and gourmet food trucks. Maybe this year there’ll be pretzel necklaces? 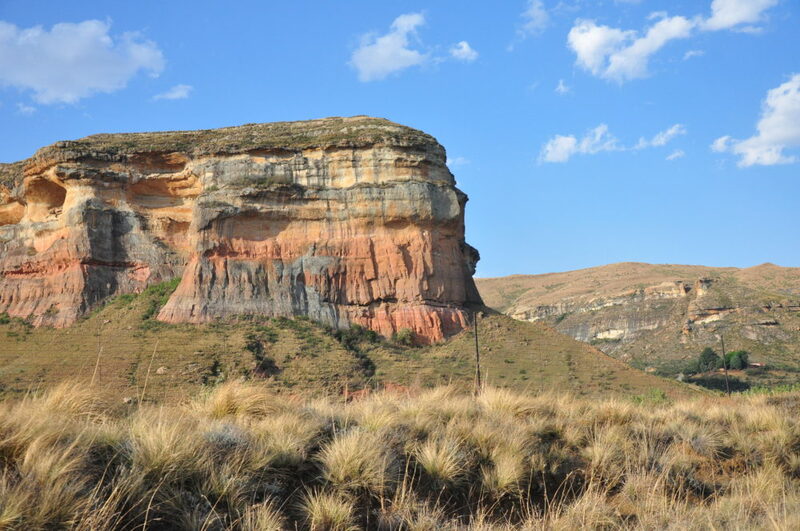 Clarens is surrounded by the spectacular sandstone Rooiberge mountains. Take a moment to take it all in, it’ll make your beer all the more tastier. Once you’re sober you can also do one of the many short hikes to the top for spectacular views of the town and valley below. They’re the people pouring you and thousands of others beer for two days straight. They also decide how much beer to pour you, if you’re friendly they may pour you a little more than you’re paying for. Also, just be a cool person in general, really. Show off your alpha ale-ness by wearing your favourite beer-related t-shirt or get one made for the gang. People dress in onesies, tutus, and neon colours. Ladies sport Bavarian Dirndl dresses with traditional aprons and the guys go full out in their button-up shirts with Lederhosen shorts and suspenders. Use your imagination and get involved! My friend Leandra Webb is a legend! As soon as one beer fest finishes she books accommodation for the next one. Tickets for the following year’s beer fest usually go on sale in October. The best and closest accommodation sells out really quickly. This year they’ve also organised tented camps. But why camp in a tent when you can stay in a castle and run through its passages like a scene from Game of Thrones – just on a much smaller scale. The Castle in Clarens is a self-catering guesthouse located on a farm 8km out of town. It has a lookout tower, with views across the vast, grassy plains that lead up to the Maluti Mountains, as well as a fireplace. By booking early we’re always within close walking distance of the festival. Don’t be a hero, rather take a shuttle if you’re staying out of town. It’ll take you to Bethlehem, Golden Gate and Fouriesburg. 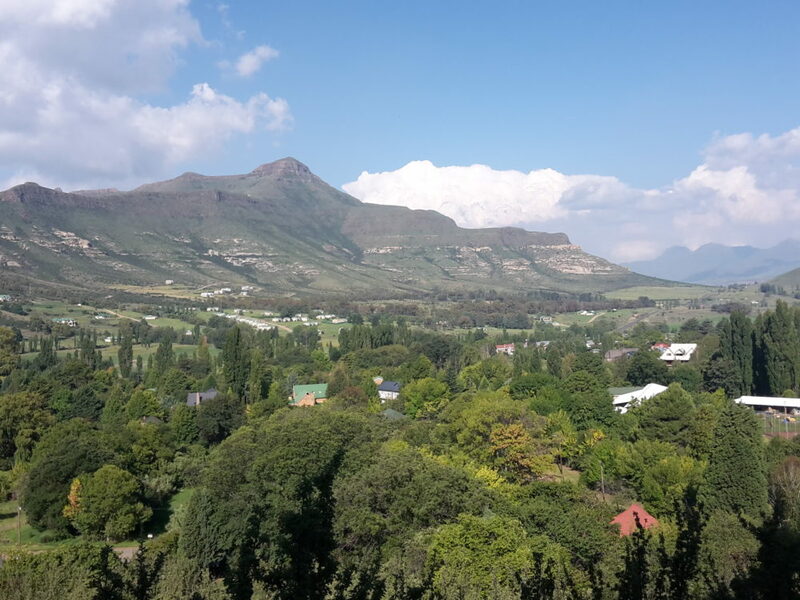 There are many things to do in Clarens other than drink beer (or while you wait for your hangover to pass before driving home). 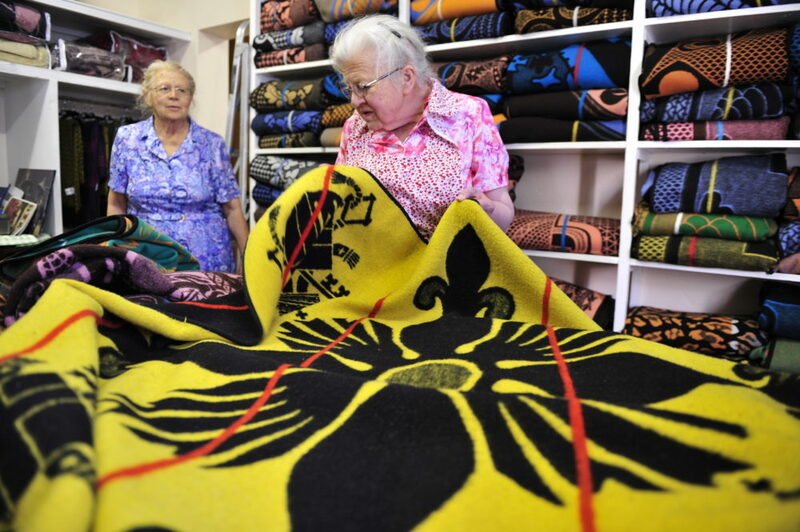 The Blanket Shop was opened in 1946 by Minnie diMezza and Gertie Dejager’s father. The sisters started working there in the 1950s and bought the shop in 1970, with the help of Minnie’s husband, just before their father passed away. “We’ve always been here – in Clarens, and in the shop. I still live in the house next door, where we were born,” tells me Minnie. I’ve always assumed the blankets were made in the Kingdom of Lesotho, as they – along with the mokorotlo straw hat – are part of Lesotho’s national dress. Yet in the shop’s backroom, where layers of these colourful blankets lie folded one atop another, 82-year-old Minnie puts the story straight, with some input from her 80-year-old sister. And so the story goes: during her jubilee year, in 1897, Queen Victoria visited the then Basutoland, which was an English colony. She gifted King Lerotholi Letsie a blanket. He draped it over his shoulders, as if it were a poncho, and so the blanket-wearing tradition began. Not only is the blanket a practical form of outwear for the cooler climes of the Lesotho highlands, but it has also become a sought after status symbol and an integral part of everyday life, from childbirth to initiation ceremonies, weddings and the king’s coronation. Minnie spreads out blankets across the wooden countertop and points out the various colour combinations, symbols and designs – each of which have to be approved by the Lesotho royal family. There’s a horse, knopkierie, shield, makwena (crocodile) and the corn cob, which is Lesotho’s staple food and symbolises fertility and wealth. 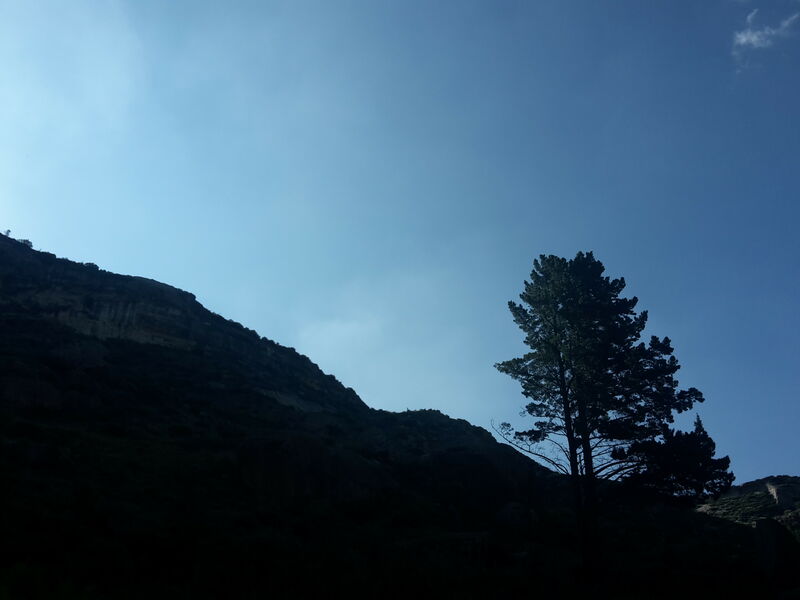 Clarens is the kind of place where you leave your car keys at your lodging and wander about. For a leisurely walk through town swing by the information centre at Mountain Odyssey (corner of Main and Van Reenen streets) for a free copy of the Clarens Art Route map. Say hi to Tina de Beer at her gallery by the same name – she’s in charge of the Clarens Art Guild and can direct you according to your taste in art. Most of the 16 art galleries along the route will see you walk around the town square and along Main Street. The Johan Smith Art Gallery proudly displays artworks by Old Masters, such as Jacobus Hendrik Pierneef. Then there’s The Gallery with its African artworks, as well as Smudge, where you’ll find contemporary artworks hanging on its walls. The galleries are interspersed with boutiques that display bric-a-brac and vintage clothing in their windows as well as speciality stores. They stand alongside pavement cafés and restaurants, where friends meet. A number of talented, young local artists with no shop space display their wares on the pavement. I brought a beautiful metal heart filled with chipped white sandstone. The pay off for a morning hike in the Golden Gate Highlands National Park (only 20km from Clarens) is watching sunrise from atop Brandwag buttress rock. Cathedral Cave and Mushroom Rock are two other popular hikes that weave a path beneath the towering sandstone mountains. Keep an eye out for the rare bald ibis, which breeds on the ledges of the cliffs. If you prefer to sleep in and bask in the afternoon sunshine, go horseback riding along one of the many scenic routes. Golden Gate can also be enjoyed from the car. As you drive the length of the 11 600-hectar park and wind your way along its ribbon roads, you may see black wildebeest, eland, blesbok, oribi, springbok and zebra. Stop at the vulture rehabilitation centre for a chance to see Bearded vultures. *doff means stupid in Afrikaans. Thanks Edu, there’s nothing like a cold pint and Clarens finds itself in a beautiful part of South Africa.